New Jersey’s online gambling bill will likely become law next month after Gov. Chris Christie elected to conditionally veto the bill and propose minor changes. Taking all 45 days at his disposal to make his decision, the popular Garden State governor did not sign the bill approved by the state legislature, but promised to do so if certain conditions are met. Those conditions include a tax increase from 10% to 15% on the gaming operators who will run the online sites, more funding for programs designed to prevent and assist problem gamblers, and a 10-year period on the online gambling statute to address concerns of its viability. The bill’s main supporter, Sen. Ray Lesniak, sees no problem with the conditions imposed by Christie and expects his fellow lawmakers to approve the amended bill in due course, perhaps a matter of weeks. The bill would again land on Christie’s desk for his signature, whereby New Jersey would join Nevada and Delaware in becoming the third state to enact some form of online gambling legislation. Like Delaware, New Jersey’s statute will permit online casino games in addition to online poker. Nevada’s law currently allows only intrastate online poker, but lawmakers in the Silver State are currently considering an amendment to permit interstate online poker. In issuing a 31-page conditional veto, Christie addressed the two areas that had been hindering his decision. The governor previously stated his fear that legalized online gambling might prevent gamblers from visiting the brick and mortar casinos in Atlantic City, defeating the purpose of the bill’s main intent. Atlantic City casinos have seen a decline in revenue for six consecutive years. However, much of that decrease is attributable to the success of the casino industry in neighboring Pennsylvania. 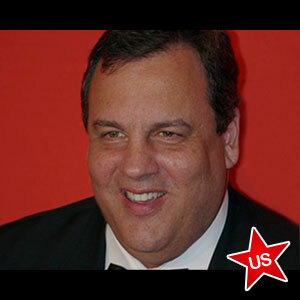 Christie’s imposition of a 10-year limit on the online gambling law satisfies that concern. Lawmakers can re-visit and examine the effect of online gambling to the bottom line of the land-based casinos during the 10-year period and amend the law accordingly. The governor’s other major complaint was that online gambling might create an overwhelming number of addicted gamblers. By increasing the tax rate on gaming operators to 15%, Christie goes a long way in rectifying that problem. The additional funds will go toward compulsive gambling prevention and assistance. Atlantic City casinos currently pay an 8% tax rate on revenue obtained via live casino games. Online gambling websites in New Jersey should be up and running this year. While it is difficult to put forth an exact date, Lesniak believes sometime in the fall is doable. However, one need only look to Nevada to see that expectations on launch dates are not always met and that delays do occur. The Silver State had hoped that online poker sites would be operating late last year, but testing difficulties have pushed the launch date further into the future. In any event, the conditional veto in New Jersey is a step in the right direction not only for gamblers in that state, but for the whole country. If more and more states enact online poker and gambling legislation, it will prompt others to follow suit and do the same. Its only a matter of time before a majority of Americans will be enjoying legalized online poker.